Explore below for Decatur homes for sale & neighborhoods in Atlanta GA. When you think of a city like Atlanta, it’s easy to imagine a sprawling metropolis: one in which the boundaries of bustling, urban influence radiate into every direction. So while a lot of people have heard of Decatur, with the quiet charm of its oak-lined streets and its laid-back, progressive culture, few newcomers realize just how close this town actually is to the action. For additional information about Decatur properties for sale in Atlanta or to schedule a private tour, contact your Decatur real estate experts today! Looking for the perfect home to buy in Decatur? Call (404) 270-9374 to reach The Keen Team now! Your local real estate agents are ready to help you navigate the Decatur, Atlanta real estate market. 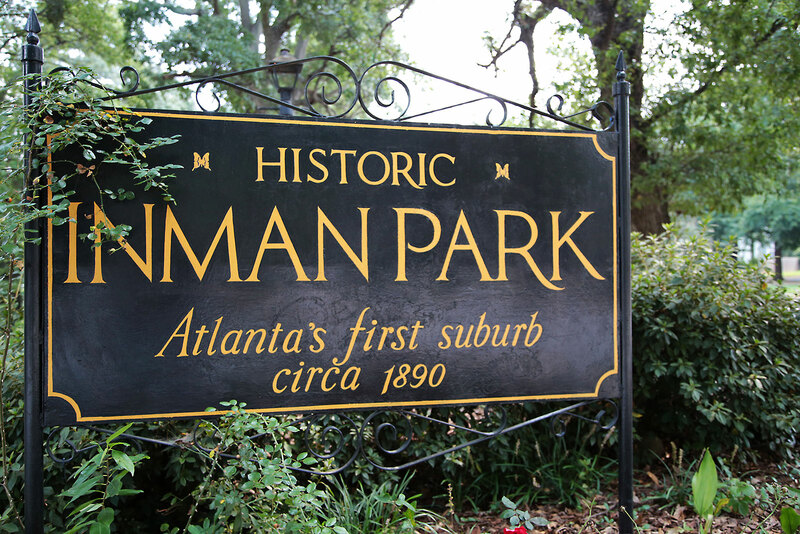 Atlanta’s city-within-a-city mixes progressive values with a Southern, small-town vibe. While the history of Decatur dates back nearly two centuries, the city has only recently entered a sort of Renaissance, and for good reason. Prospective homeowners, desirous of a location close to the city center, but more inclined toward owning a historic home (complete with yard and mailbox), have found Decatur’s convenient location to be an excellent compromise between the amenities of the city, and the easygoing values of an intimate, but highly inclusive community. It’s for this reason that families, especially, choose Decatur as a starting point when considering a relocation to the Atlanta area: the school district is among the very best in the state; festivals geared toward all ages punctuate the calendar throughout the year; and for nights when a baby sitter can be procured, some of the best restaurants in the South are within easy walking distance. 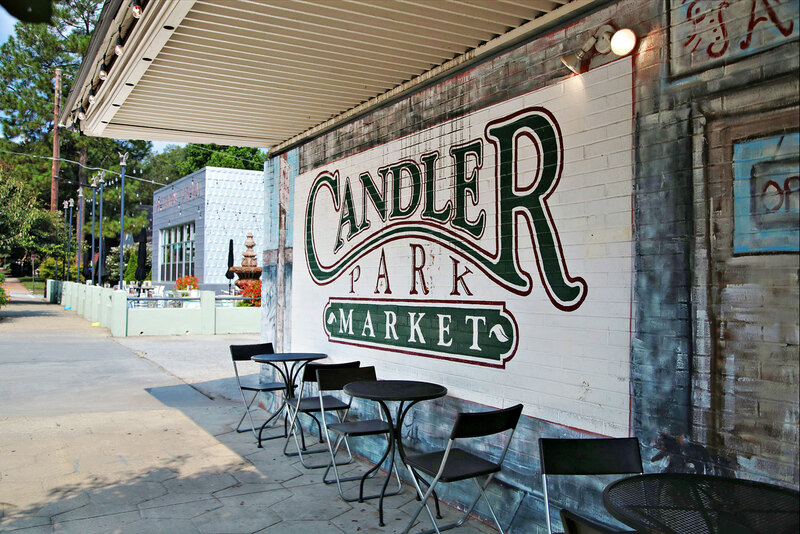 Decatur is located on the Ponce Corridor, about six miles to the east of Atlanta’s center, and a couple of miles due west of I-285. As the seat of Dekalb county, Decatur lies at the center of a number of other, smaller communities that offer slightly different variations of this small town’s charm. It’s hard to throw a stone in Decatur without hitting a patch of public greenspace. From tiny, quiet neighborhood squares to sprawling, tree-filled parks spanning several city blocks, there’s never an excuse to spend a pretty day inside. Here are a few favorites, just close by. 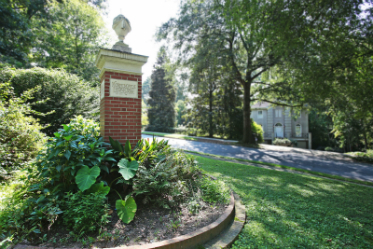 Public gardens are popular in Decatur, and a plot can be found pretty easily. But “urban agriculture” doesn’t stop there—raising chickens is actually a pretty popular pastime for Decatur residents, and a few support groups even exist, where members can exchange tips and information (in addition to some killer frittata recipes). Spending the afternoon in Decatur, and arriving by car? The parking garage on Trinity Place (just a couple of blocks off the main square) offers a rare commodity in Atlanta: abundant and inexpensive parking. Decatur takes great pride in its public library (The DeKalb County Public Library), and it’s not too uncommon to see Atlantans from as far away as OTP keeping a Decatur library card in their wallet. No matter where you end up living, check it out. The same can be said of much of the Atlanta, but for Decatur, it’s especially true: talk to people. The folks who live here know the town like the back of their hands, and are always proud to point out some special spots to newcomers. Decatur is known as having one of the best Public School Districts in the region—and to be sure, with 80% of property taxes going toward the school system, it’s a service the residents pay for. Still, for families looking for quality education, that factor is a selling point all by itself. Here’s a list of Decatur’s schools, from pre-school to post-grad. The Ponce de Leon corridor runs straight through Downtown Decatur. Traffic can be a little thick on this artery during peak hours, but it offers a straight shot to Midtown, or to the I-285 perimeter. Meanwhile, small neighborhood roads and surface streets grant easy access to the surrounding Atlanta neighborhoods. The I-75/I-85 Connector is located about 6 miles to the west of Decatur, while I-285 lies about 2 miles to the east. The Decatur MARTA station is located in the middle of downtown Decatur, just beneath the town square, granting regular, easy access to Atlanta’s main commerce and lifestyle hubs. During your first visit to this county staple, pace yourself. It’s easy to spend a whole afternoon in this sprawling indoor market, which features vegetables, fruits, meats, cheeses, fish and packaged specialty items from across the globe. Held every Labor Day weekend, this literature lover’s event has become a staple in Decatur, with booksellers, artists, and food vendors lining the streets, and famous authors and speakers packing out the schedule. Music lovers rejoice: this acoustic venue offers a daily lineup featuring some of the freshing voices in the South, making it one of the Atlanta Metro’s premier (but still intimate) places to catch a good act. Interested in buying a home in Decatur? Give our Atlanta real estate experts the opportunity to guide you through the purchase of your next house or the sale of your current residence. As local real estate agents, we have insight on the dynamics unique to the Decatur housing market. Connect with The Keen Team for information on representation for buyers and sellers in Decatur. Considering the sale of your Atlanta property? Receive a Decatur property value analysis with the help of our CMA page!